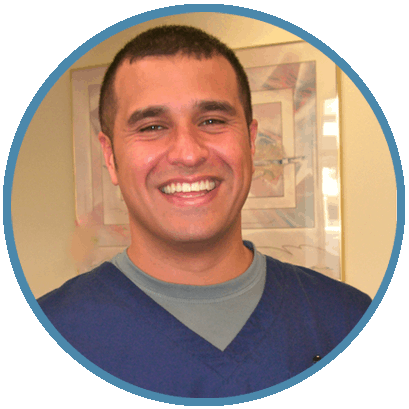 Dr. Marco A. Lopez completed his undergraduate education at Boston University. He then earned his doctorate from Palmer College of Chiropractic-Florida where he graduated at the top of his class. Dr. Lopez has 10+ years of experience working as a Chiropractor. He’s also trained and licensed in electrodiagnostics and has worked with a wide range of physicians in and around the tri-state area. Dr. Lopez was recognized as a Top Doctor for 2014 specializing in Chiropractic and Spinal Disorders. He’s also certified by the International Board of Electrodiagnostics and has a Chiropractic Neurology Diplomate in progress. Dr. Lopez is patient centered and evidence influenced. He will make time to determine the source of your pain, identify contributing factors unique to your experience and explain them so you can regain control of your life. Dr. Marco A. Lopez has been selected as a Top Doctor for 2014 specializing in Chiropractic and Spinal Disorders. He completed his under graduate education at Boston University. He then earned his doctorate degree from Palmer College of Chiropractic-Florida where he graduated at the top of his class. He performed his clinical training at the Palmer Clinic in Port Orange, the Outreach Clinic in South Daytona, and the Star Shelter in Deland. Dr. Lopez completed additional training with Dr. Donald Murphy, Clinical Director of the Rhode Island Spine Center and Clinical Assistant Professor for Alpert Medical School of Brown University where he spent time learning the role of a qualified primary spine care physician. While in Providence, Dr. Lopez participated in weekly spinal conferences; attended grand rounds in the department of neurology and orthopedics; and spent time in the EMG laboratory of the Rhode Island Hospital. During his externship, Dr. Lopez also had the opportunity to observe spinal surgery and minimally invasive procedures. He presently works with a wide array of medical professionals to provide a well rounded approach to people ailing from spine related conditions. As a Doctor of Chiropractic (D.C.) Dr. Lopez is your primary spine care practitioner. He is specifically trained to provide front-line evaluation and management for spine related conditions. He can guide you through a non-surgical, non-invasive treatment approach tailored to your diagnosis. When treated early and appropriately, most people benefit from a conservative approach to spine related disorders and do not require surgical intervention or invasive treatment. This approach provides better outcomes, higher value and overall better patient satisfaction. If your case does not respond to an adequate trial of conservative care Dr. Lopez will guide you to the right specialist and co-manage your treatment to ensure you receive the care you deserve. His main objective is to help you get back to your life as quickly as possible. Dr. Lopez is also trained in electrodiagnostics. He performs testing on-site and off-site for physicians in the New York Metropolitan area. He is currently pursuing a Diplomate in Neurology as well as a Diplomate in Electrodiagnostics. It was truly a miracle. I had never in my life needed a chiropractor before and he identified my issue and got me on the road to recovery. His office even checked in with me the next week to see how I was doing. Very professional and I thought it was wonderful that he greeted his patients and provided personalized attention. Dr. Lopez, treated me for a chronic issue that I had and he was able to resolve my pain very quickly he was able to diagnose my pain right away and was able to relieve my pain in just a few session’s he is very skilled and honest with his diagnoses and treatment. I would definitely see him again for treatment in the future. Dr Lopez was excellent. He treated me very kindly With lots of respect. He explained to me that I would be able to enjoy life without pain and exactly how it would be done. He didn’t accept my insurance but he treated me without asking me for a dollar. I would recommend him to everyone. Thank you Dr. Lopez, you are a great human being.